REMEMBER: If you want tickets with a package, you can purchase the tickets as part of your package booking! 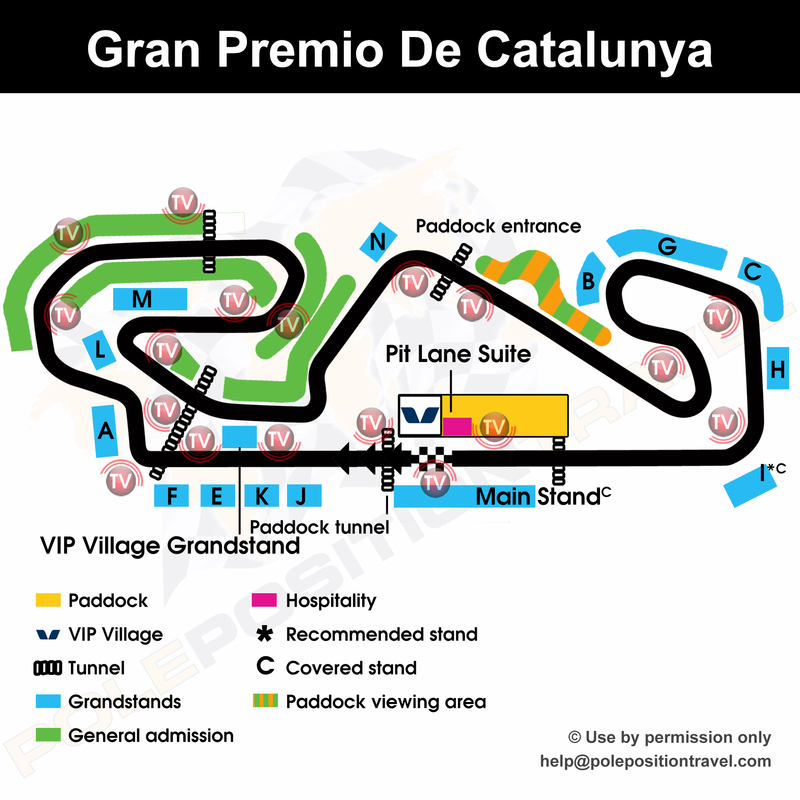 Your first consideration at Catalunya is the agonising choice between some of the top hospitality in MotoGP, joining a team inside the paddock, and some of the best grandstands! For hospitality, we offer the VIP Village. This is the top experience of the MotoGP. We enhance with our own guide and shared paddock passes to get you inside some of our partner teams' garages. We have also brought back the superb value Pit Row Hospitality suite - above the pits oddly enough, with private grandstand and paddock tours. Catalunya is blessed with many good viewing positions and top quality facilities. All tickets allow you to wander the track to see from all angles; you are only allowed to sit in your designated grandstand of course. Covered stands I, M and Main are good to keep out the sun; B & C get you extended views of the exciting final loop. H is especially good to see both the loop and the entry into the final corner.